EVE Online’s annual FanFest event is in full swing in Reykjavik, Iceland, hometown of publisher CCP Games. This year’s event marks the 15th anniversary of EVE Online, and CCP took the opportunity to detail the game’s 37th free expansion, Into the Abyss, during a keynote presentation today. It also delivered updates on the mysterious “Project Nova” and its upcoming mobile game War of Ascension. To be released May 29, Into the Abyss brings the emergence of a new NPC faction, the mysterious and powerful Triglaivan Collective. The reveal of these powerful new entities has been building in-game over the weeks leading up to FanFest, with players actively trying to unravel the mystery inside the game world. The Triglaivan NPCs will be found in newly designed Abyssal Deadspace pockets, which can be accessed from almost anywhere in the game. Upon entering the Abyssal Deadspace gateway, players are transported into extremely hazardous and mysterious new space. As a reward for braving the lethal hazards, players will be able to harvest resources to construct new weapons and modules to use on their ships. These powerful new offensive and defensive systems will harden the player’s vessels and allow them to explore deeper and deeper into Abyssal space. Players will be forced to choose between venturing further into new territory in search of fame and glory, or retreating back to the comparative safety of normal space to liquidate their goods. Alongside the Triglaivan Domain, EVE’s Executive Producer CCP Seagull presented the revamped Planetary Interaction system. The goal of the changes is to streamline the infamously tedious planetary colony system, which has players extracting resources from terrestrial locations. Seagull went on to demonstrate the new Activity Tracker, which will plot data points along a player character’s “lifespan.” The goal is to highlight character strengths in a very graphically pleasing way, streamlining the nebulous character progression in EVE Online, and providing players with optional milestones to strive towards. Fanfest is not only about EVE Online. It is also a chance for CCP Games to speak to its fanbase about what’s happening with all of its other products. CEO Hilmar Veigar Pétursson took a moment during the welcoming ceremony to pledge ongoing support to the company’s VR offerings that are no longer receiving content updates: EVE Valkyrie, Gunjack and Sparc. Looking towards the company’s future efforts, Hillmar also shared new information about the still somewhat mysterious “Project Nova.” Nova is an FPS that will be set in the same universe as EVE Online, a follow up to CCP’s previous free-to-play FPS Dust 514, which was shut down in 2016. 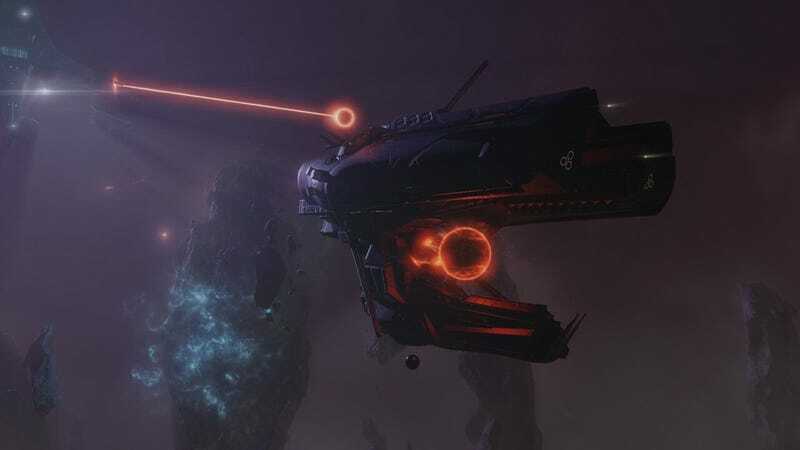 Unlike Dust, which was a PlayStation 3 exclusive, Project Nova will be a dedicated PC title, and it will be released with no connection to the EVE Online game servers. Hilmar also took some time to address CCP’s first foray into the world of mobile gaming, EVE: War of Ascension, which will feature gameplay elements similar to EVE’s constant battle for control of the galaxy. With two more days of Fanfest ahead, EVE players can expect a great deal more detail to be released about the Into the Abyss expansion. The majority of the panels are broadcast live on CCP’s Twitch channel.